We have had many requests for modifications kits for our korg Poly800 mkI mods, mainly due to the fact that Poly800's are pretty big and therefore expensive to ship for modding, especially from outside the UK. 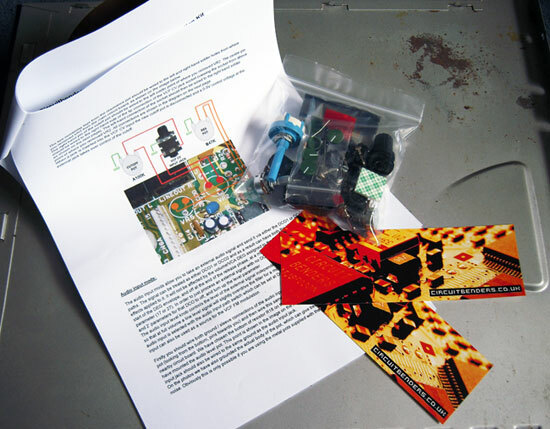 As a result we have put together a limited number of Korg Poly800 'polybeast' mod kits. The kit includes all the necessary parts and a 10 page manual detailing the installation of all the modifications found on our standard 'Polybeast' mods, on a Poly800 mk1. The EX800 has the same motherboard so the actual mods are the same and you could work from this guide, but obviously the controls positioning will differ. We do not supply a specific EX800 kit. More details and demos of the kind of sounds these mods are capable of producing can be found over on the main Poly800 mod page HERE. While we have produced diagrams and attempted to make the installation as simple and pain free as possible, this is probably not a project for an absolute beginner. You should at least have some experience of soldering and working with various electronic components. Having modified a synth, drum machine or toy before would be a definite advantage. You will also need some wire, a soldering iron, some solder, wire cutters, a drill with various size bits, and we’d also recommend some solder wick or a solder sucker to remove components from the circuitboard, although they’re not strictly necessary. This kit does NOT contain the data entry knob. The data entry knob can be bought separately from HERE. PLEASE NOTE: We will not supply the installation guide, without the parts kit. If you want to buy one of these kits click on the Buy Now button below. Payments are processed via Paypal, but you can pay using a credit or debit card without having a Paypal account. If you want to pay using some other method, please get in touch via the CONTACT page.